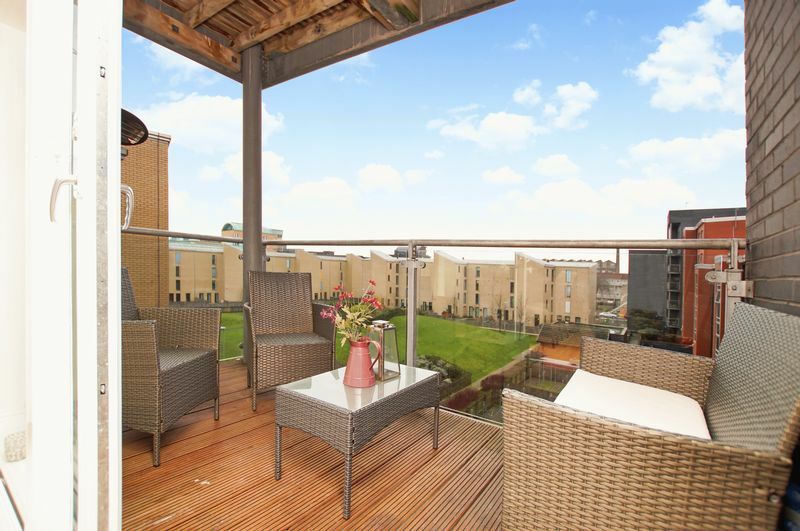 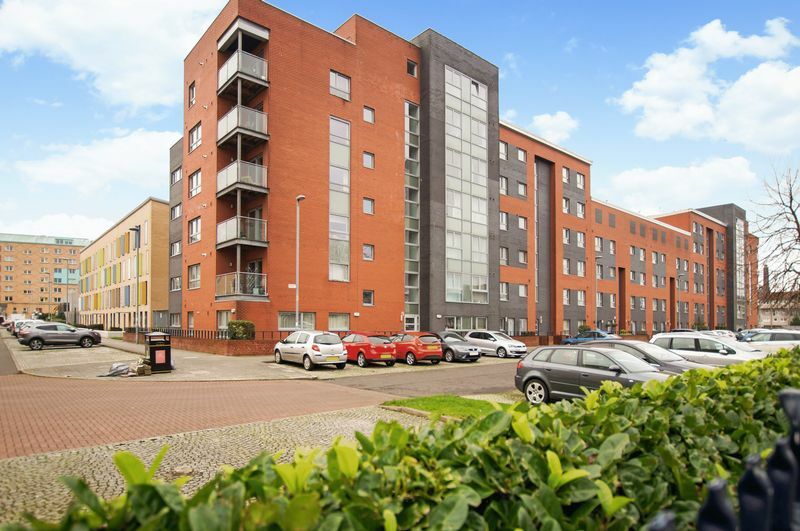 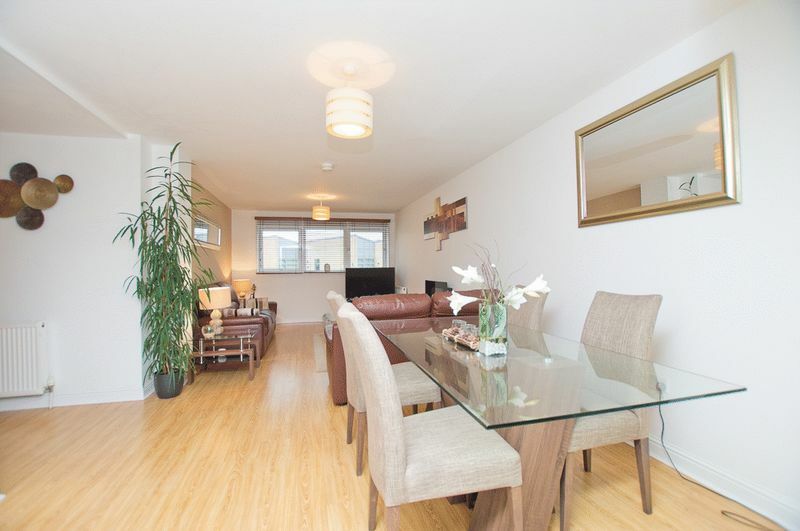 This modern 3rd floor 2 bedroom apartment is beautifully presented and an excellent size with 2 double bedrooms, kitchen, open plan Living / dining room, family bathroom, master en-suite, balcony and storage space throughout. 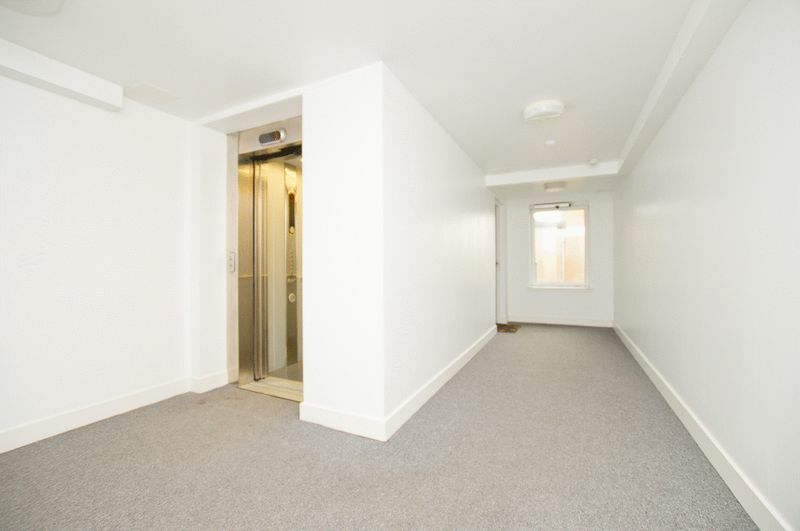 The property is accessed through secure entry system in a very well maintained building with lift access to the property. 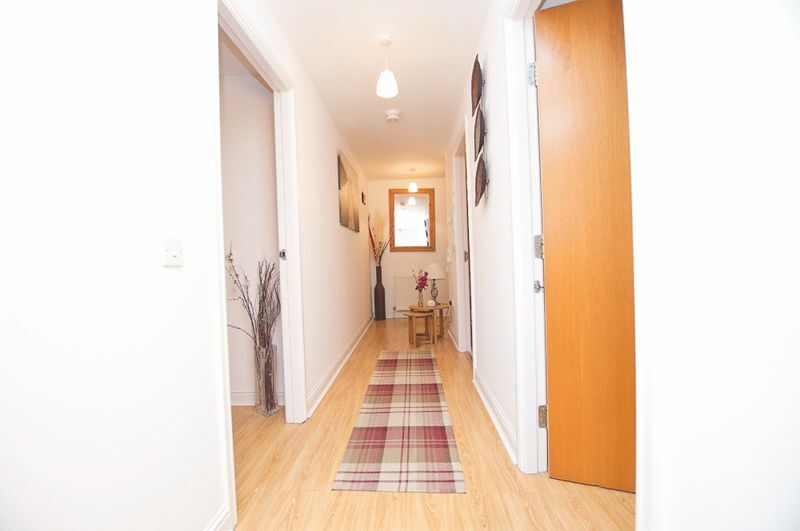 The welcoming reception hallway provides access to all rooms and has a large storage cupboard. 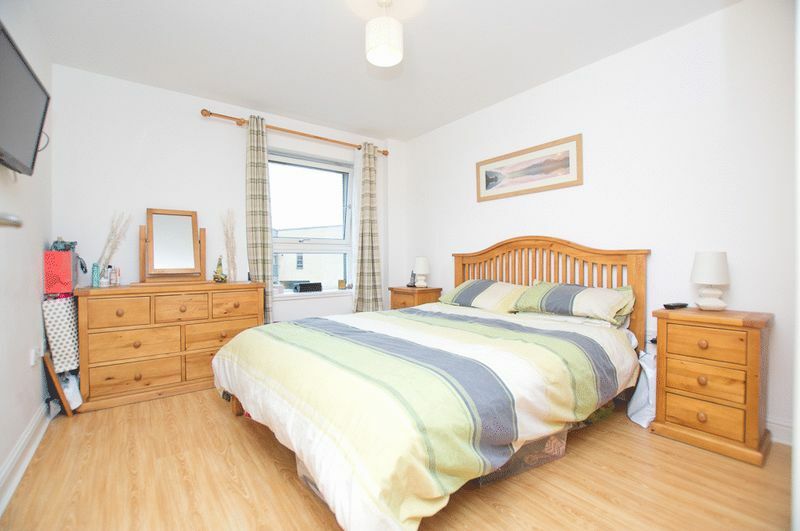 The 2 double bedrooms are both in great condition with white walls and wood laminate flooring. 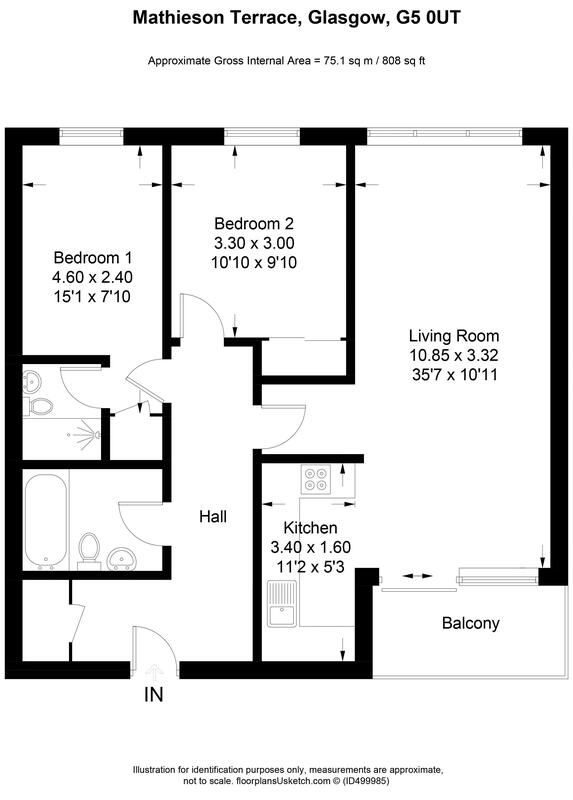 Bedroom 1 features a fitted wardrobe, en-suite bathroom with shower cubicle, cream wall tiles and flooring. 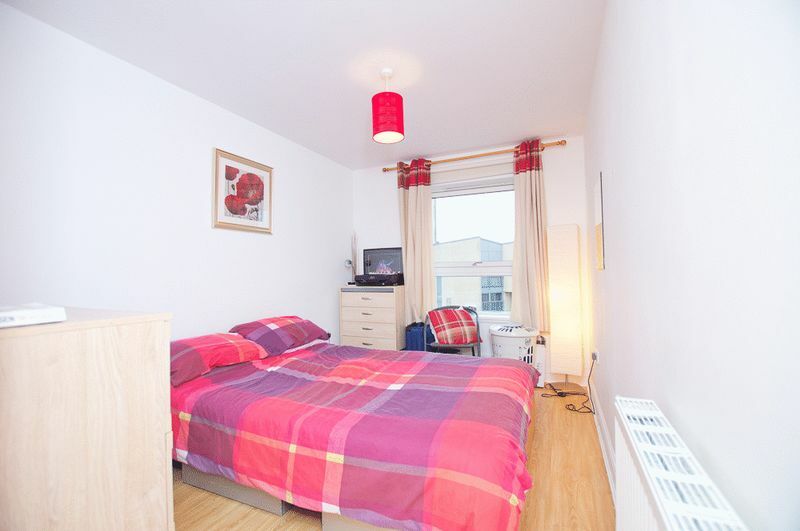 The 2nd bedroom has the larger fitted wardrobe. 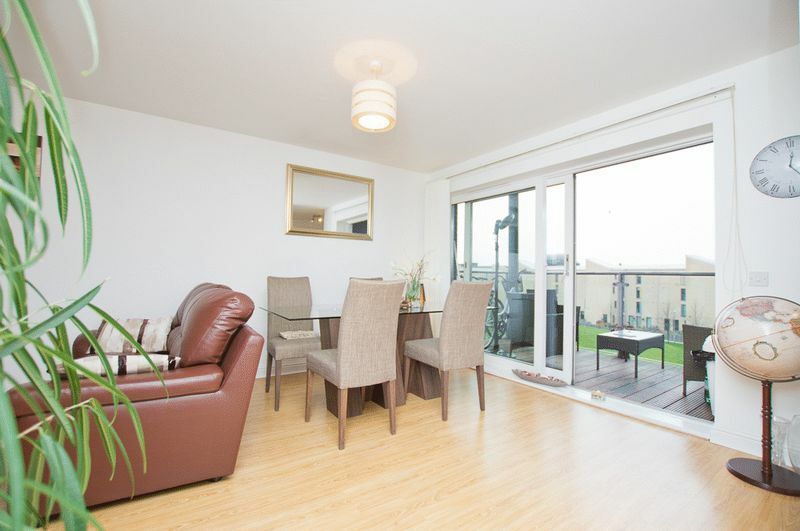 The open plan living dining is very bright and spacious with white walls, wood laminate flooring and double doors leading to the wonderful large balcony overlooking the communal rear gardens. 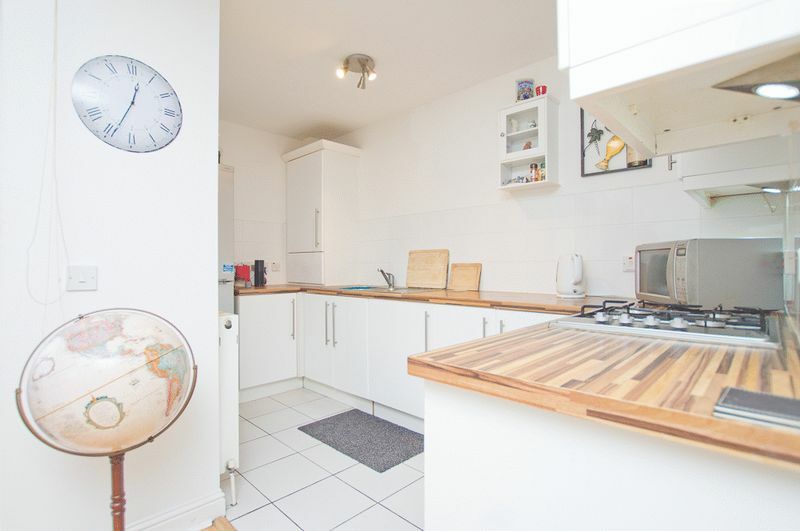 The modern fitted kitchen has stylish gloss white cupboards and white wall tiles, gas cooking hob and electric oven with laminate wood effect worktops and white floor tiles. 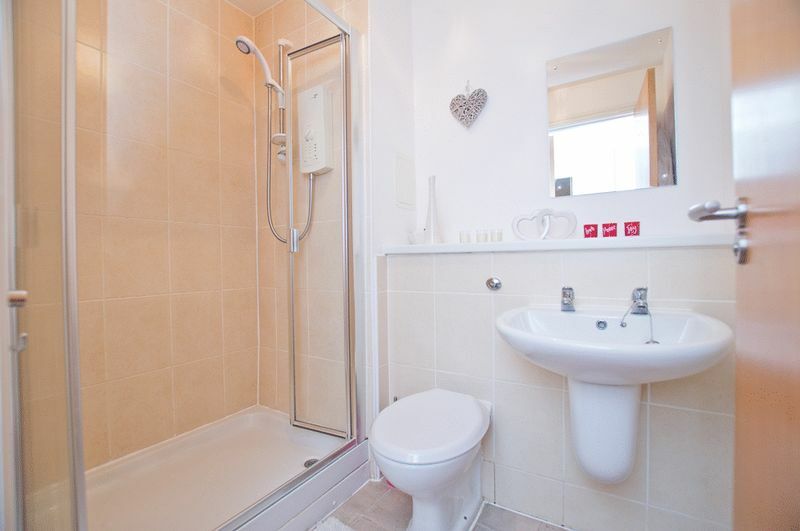 The family bathroom features a white 3-piece suite with shower over bath, cream wall tiles and white tiled flooring. 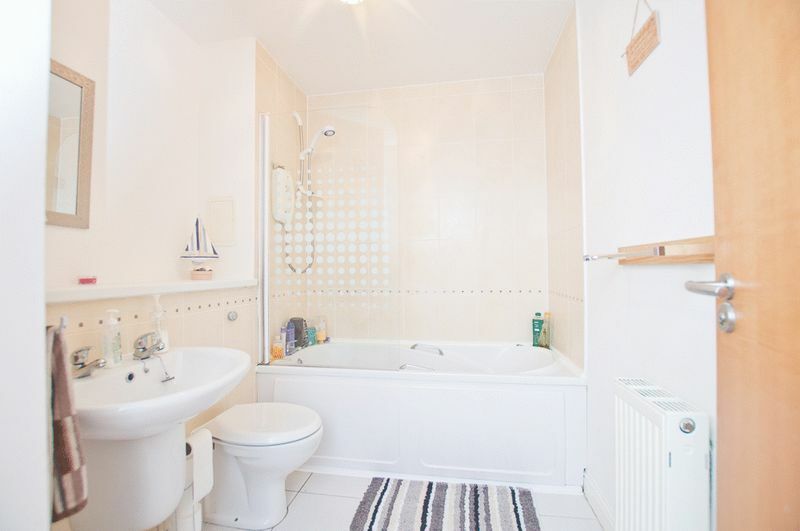 The property is in excellent condition with modern neutral decor and lots of storage space, the property further benefits from gas central heating and double-glazing. 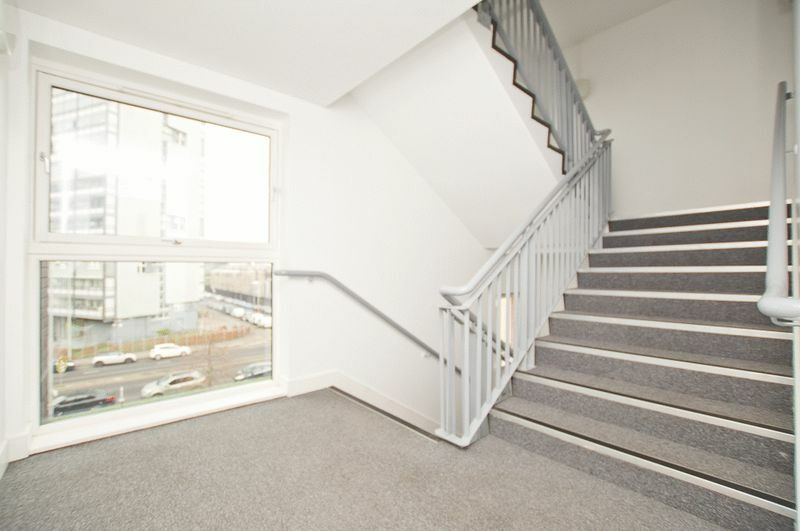 The building is located in an extremely popular area with local amenities and shops, supermarkets and gym. 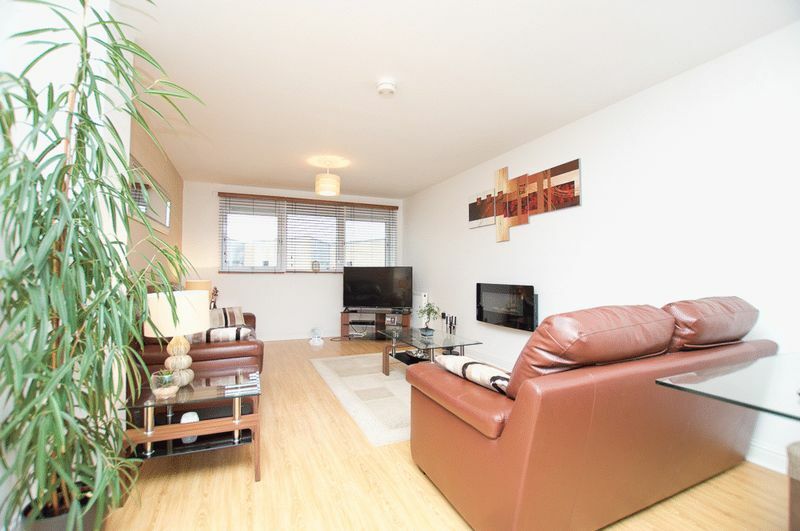 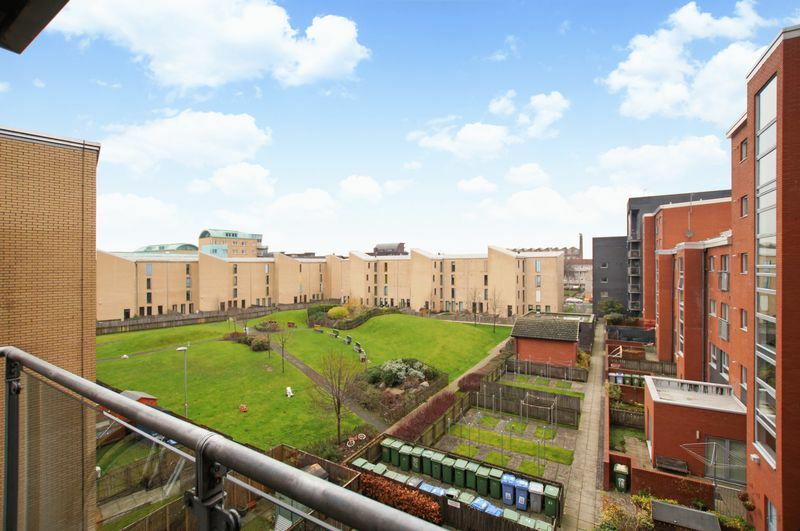 It is also within walking distance to the city centre and has as expected, fantastic transport links.